On paper, a sultry Prom for the middle of summer, capped by a colourful French symphony. In reality, even more substantial – a concert whose tuneful demeanour and performance panache really lifted the spirits, bringing new perspectives to works we might have erroneously pigeon holed as over familiar or under performed. Into the latter category falls most of the music of Édouard Lalo, whose Symphonie espagnole, a passionate five movement work for orchestra with violin soloist, is the one work to really gain a foothold in the Proms. Lately however it has fallen out of favour, and Joshua Bell was bringing it back for the first time in 15 years. His evidence was persuasive, a performance full of character, wit and commitment that showed the French composer’s Spanish persuasions in a very positive light. The first two movements were a little on the chaste side, but that only heightened the bravura of the Intermezzo, where Bell was really able to let his hair down. The finale was also a winner, its tune (memorably upgraded by Keith Emerson and The Nice) leaving an impression long after it had departed, and completing a convincing performance of a substantial work. It would be good to see more Lalo revived to the repertoire, for he is a composer of tuneful appeal with colourful orchestration. Bell (above) gave us a substantial bonus in a gorgeously floated encore of Massenet’s Méditation from his opera Thaïs. Manuel de Falla also fulfils those two qualities, though his way with a melody is if anything even more exotic. El Amor Brujo (Love, The Magician) is packed full of memorably scored dance music that played right into the hands of a skilled interpreter such as Charles Dutoit. Under his baton the Royal Philharmonic Orchestra swooned and sighed, though unfortunately the contributions from mezzo-soprano Stéphanie d’Oustrac (above) were not ideally balanced from our vantage point in the Albert Hall, her notes falling short of the back of the Arena. Because of that the dances were easily the high point of what was otherwise a high quality performance. And so to Saint-Saëns, and his Symphony no.3 – the Organ symphony, billed on account of the instrument’s role in the final movement. It was surely the last ten minutes of this work – elevated by pigs in the film Babe – that caused such queues for the arena and gallery, but it was particularly satisfying to be reminded of the work as a whole and its inventiveness. This was surely the first occasion an organ had been used in this way before, and not just that – a piano too, the four handed part beautifully incorporated by Dutoit into the whole. Dutoit ensured the rhythmic invention of Saint-Saëns was to the fore in the first movement, the strings’ lines shimmering in the half light, while the second movement bloomed in a wondrous shade thanks to well-chosen settings by organist Cameron Carpenter (below) for his accompaniment of the strings plaintive but increasingly powerful theme. A quickfire third movement brought rhythmic impetus again, the motto theme drumming its way firmly into the consciousness, and then it was the finale, where the balance between organ and orchestra was ideal. Dutoit, who has conducted this work for well over 30 years, relished the drama of the chorale theme and the orchestra’s rapturous response, but also brought forward the inner workings that Saint-Saëns uses to drive it forwards. A final, personal note on Charles Dutoit, receiving his Gold Medal from the Royal Philharmonic Society before we heard the Saint-Saens – which incidentally was commissioned by the same body in 1886. In his recordings with the Montreal Symphony Orchestra, Dutoit has made some very special insights into French music that are I’m sure on the shelves of many a classical collector today. Ravel, Debussy, Poulenc and Ibert are just five of the composers to benefit from his special relationship with the orchestra – and provide just some of the reasons behind the ever-adventurous conductor’s modest receipt of the medal. He may be 81 but the creative fires still burn very keenly! Stay tuned for another in Arcana’s Ask The Audience series, where Jamie Sellers will give his verdict on the Royal Philharmonic Orchestra Prom. Coming shortly! Meanwhile a Spotify playlist celebrating Charles Dutoit is below, containing some of the music from this concert. 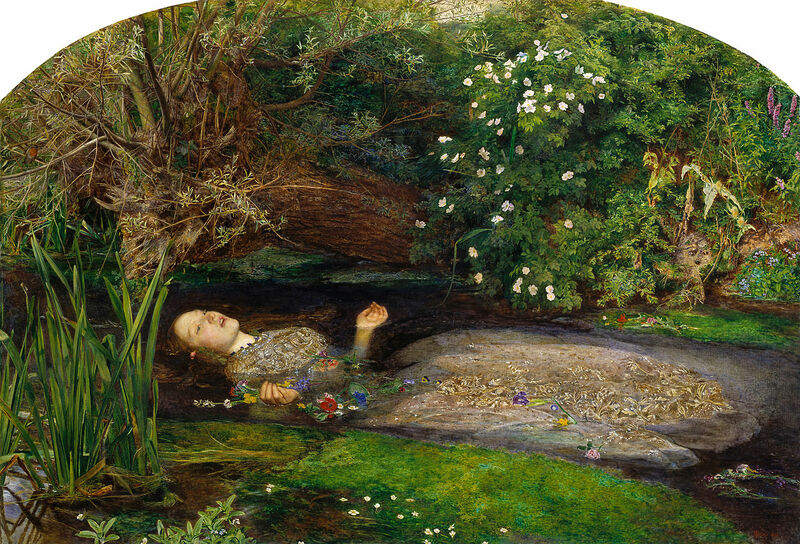 Ophelia by John Everett Millais (1852) is part of the Tate Gallery collection. His painting influenced the image in Kenneth Branagh’s Hamlet. This is a really well chosen program from Karg and Huber, justifying the singer’s burning of the midnight oil (in the announcer’s anecdote!) to come up with some vivid character portraits that draw the casual listener in through the links between the songs. This is surely how a song recital should be structured. 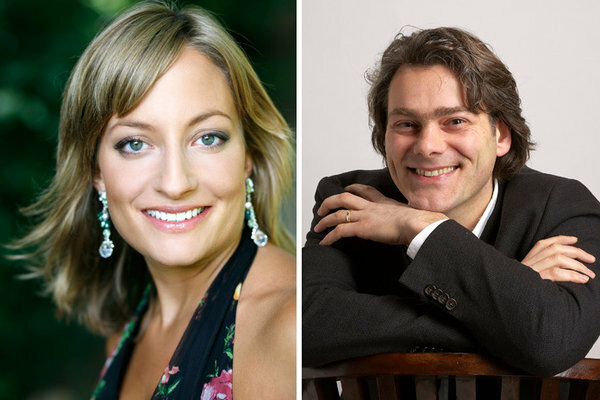 Thanks to their enterprise we get an interesting blend of Romantic Lieder – that is, nineteenth century song writing that is much more obviously expressive. German composers are strongly represented, beginning with Wolf’s four settings of Goethe, and his poems on the tragic figure of Mignon. Then our gaze turns to Ophelia, by way of five early Brahms Lieder and three late, eccentric interpretations by Richard Strauss – before a French alternative from Saint-Saëns. Finally the heady fragrance of three sublime songs from Hahn and two more substantial, meaty efforts from Duparc clinch a consistently engaging recital. On this evidence – listening on the radio rather than in the hall – Karg and Huber are ideally matched. Their delivery is especially emotive during the Wolf, where the soprano inhabits a lot of the distress and strife handed out to Mignon. It is a great idea to fuse the portraits of Ophelia in this way, and anyone approaching Brahms songs for the first time would be surprised at the brevity and simplicity of them. They contrast nicely with the Richard Strauss examples, where Karg shows a lot of vocal agility without ever losing control. The French songs are sumptuous, especially the Hahn, throwing open the doors to let in some Spring light. 1:55 – Heiss mich nicht reden (Bid me not speak) – the first Mignon setting moves in unexpected harmonic directions, never really sure of itself as Mignon seeks peace ‘in the arms of a friend’. Judging by the piano postlude this is not found. 5:04 – Nur wer die Sehnsucht kennt (Only those who know yearning) – a sombre minor-key opening from the piano. 7:25 – So lasst mich scheinen (Let me seem to be an angel) – a cold piano sound and a distracted vocal. Again the harmonies move restlessly, as does the melody, the song in a dream state but not at rest either. 10:47 – Kennst du das Land (Do you know the land)– a rather more positive outlook in this relatively relaxed song until a sudden outburst from the piano, which on its second appearance follows a particularly fraught passage from the soprano. 18:57 – the first of five very brief Brahms songs – this one a thoughtful melody with singer and piano together. 19:42 – the second Brahms song, a mere 20 seconds! 20:06 – the first Strauss song inhabits a weird world of a piano part seemingly cut loose from its moorings, and a melody that doesn’t have an obvious resting point. Mysterious but intriguingly so. 22:37 – the third Brahms song, a much brighter affair. 23:12 – the second Strauss song trips along in a state of high agitation but is perhaps too short to make a sustained impact. 24:44 – the fourth Brahms song, another incredibly brief number – but beautifully delivered here. 25:32 – the fifth Brahms song – even though it is a minute long there is still a distinctive melody here. 26:49 – the third Strauss song, and a deeply mysterious one that casts its spell immediately through the piano line, broken momentarily by outbursts in the middle and at the end. 29:58 – an urgent song from the French composer, with the high soprano voice doubled by the left hand of the piano. 35:04 – Lydé – a much more positive outlook is immediately evident in this song, with an open air texture and bright vocal. There is a grand piano postlude, and what sounds like a wrong note. 37:50 – A Chloris – a twinkling piano introduction has a melodic ornamentation that takes its lead from Bach’s AIr on the G string before the soprano arrives in a lower register. A contemplative song, one of Hahn’s very best, this is beautifully sung by Karg. The interaction with the piano is ideal. 40:33 – Séraphine – a calm and radiant atmosphere runs through the third Hahn song. 43:28 – Phidylé – Karg sounds imperious in her control of the fuller melody that makes the second part of this song. The exotic musical language is very much in thrall to Wagner, and reaches its peak with high notes and turbulent, stormy piano writing. 48:15 – Romance de Mignon – another perfumed song, but this is an early song suppressed by the composer. Duparc writes so well for the voice. 54:00 – Schubert’s Gretchen am Spinnrade – going back to the first composer to write about the ‘mad woman’ Mignon, as Karg describes her. Huber shapes the piano part superbly under Karg’s urgent vocal. It is difficult to suggest another step after such an intriguing and well-thought program, but underneath the songs of on the Spotify link above are further possibilities – including Wolf’s remarkable Prometheus, Brahms’s Four Serious Songs, in a legendary recording from Jessye Norman, and to finish some more Duparc.